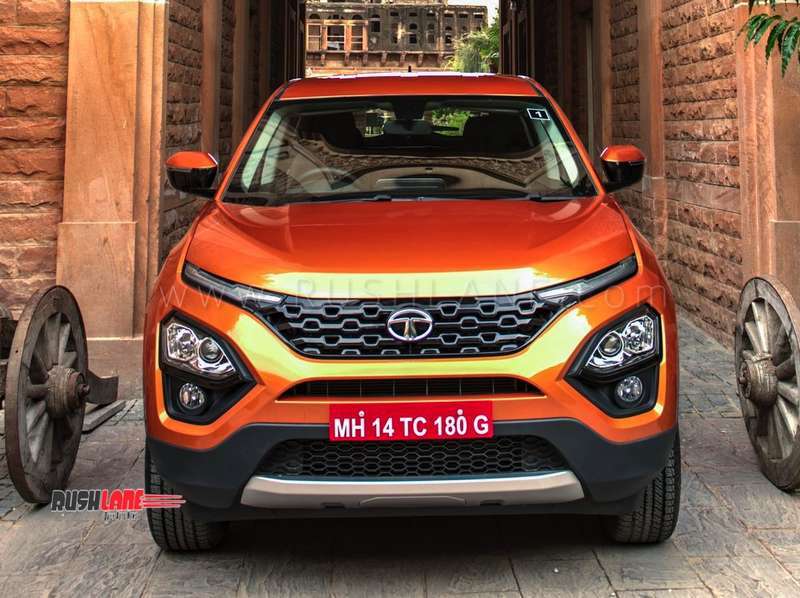 Price of Tata Harrier petrol variant could start from as low as Rs 14 lakhs. Tata Motors has successfully completed national media drive of their much awaited new SUV – the Harrier. Set for launch in Jan 2019, as of now the Harrier will only be offered with only a diesel engine. This diesel engine is same as the one we have seen on the Jeep Compass. Tata is calling it the Kryotec 2.0. Because of only diesel engine on offer, price of Harrier will be on the higher side. Offering a petrol option will surely help bring the starting price of Harrier down. As of now, Tata has revealed that on road price range of Harrier diesel will be in the Rs 16 lakhs to Rs 21 lakhs range. With hardly any difference in prices of petrol and diesel, more and more buyers are opting for petrol engine cars, instead of diesel. Thanks to this, Tata Motors has already started working on the petrol engine variant of Harrier SUV. Just like the diesel engine, Tata could also source petrol engine from Fiat India, and use the 1.4 liter mill on Harrier. This is the same engine which powers Compass, delivering 160 PS and 250 Nm. It could be offered with manual as well as automatic option. This will allow Tata Motors to reduce prices of Harrier, and offer it to a wider audience. Speaking about the Harrier SUV, it is touted as the best Tata car till date. Not only the design is amazing, features list is also impressive. It gets media, phone and navigation mirroring and ConnectNext App suite through DrivePro, Tata Smart Remote and Tata Smart Manual. The Harrier is also seen with a floating island touch screen infotainment sytem with 8.8″ resolution display and 320W RMS JBL system with 4 speakers, 4 tweeters and 1 sub woofer along with an external amplifier which has been tuned by a JBL specialist. On the safety front, the Harrier will also get ABS, EBD and ESP along with engine immobilizer, child lock, ISOFIX seat mounts, clutch lock, speed sensing auto door lock, driver and front passenger airbags, side air bags and curtain airbags along with driver and front passenger seat belt reminder and central locking system. The Tata Harrier also gets power windows, tilt and telescopic steering, adjustable head rests, rain sensing wipers, electric tail gate and electric fuel lid unlock. Suspension and braking is via McPherson Strut with coil spring in the front and semi independent coil spring at the rear and disc brakes in the front and drum brakes at the rear. The Harrier sits on alloy wheels fitted with 235/65 R17 Radial Tubeless tyres and also gets a spare tyre of 235/70 R16. Tata Harrier SUV will take on rivals such as the Hyundai Creta, Jeep Compass and Mahindra XUV500.